my iphone6's screen was cracked and bent as well, so i bent the phone back to normal and replace the screen, but after i have done everything, i find that the phone can not receive signal, it just say no signal. i am sure the sim card is working ( i tried it on other phone). i think i might have damaged the phone when i tried to bent it back. so how can i know which part need to be replaced? sim card reader? antenna ? Antenna may be your problem. 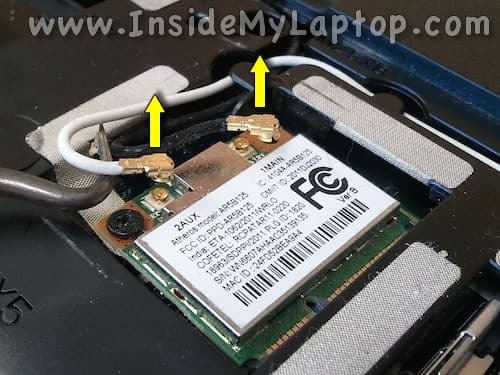 I believe the phone reception antenna is the one on the lower end of the logic board, it is black and small with a silver/gold L shaped plug on the end that snaps down onto a circular terminal. Looks kind of like this. Before you do some work on the phone. 7: Check if you have reception. Also, try to dial *3001#12345#* and check top left what number is shown. -105 = No signal at all. Anything in between those numbers is normal. The closer to -51 the better. Springboard? Isn't that like Winterboard from Cydia with a jailbroken iPhone? Omg your a phone god no one would touch my phone all they said was throw it in the bin! Your way worked straight away thanks so much!! I hope you're doing good and having a nice w-e ! I recently changed the screen and the battery of my Iphone 6. Everything was working just fine for a week until yesterday. I can neither receiver / send SMS, nor access 3G/4G. Could it be a motherboard issue or a welding issue ? Would it be worth trying to replace the lightening dock ? So which part was the solution?